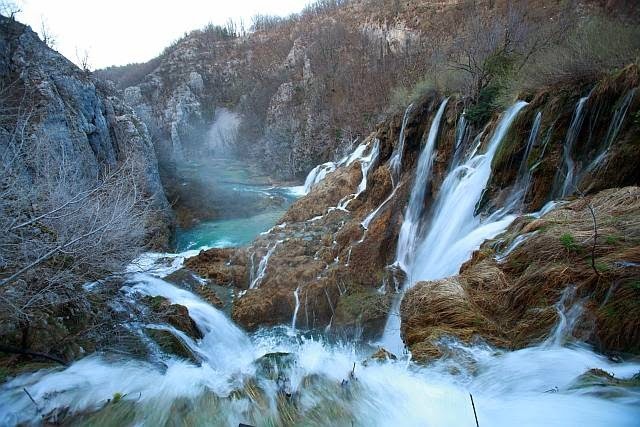 There are many tourist attractions in Croatia, with Dubrovnik and the Adriatic coast as it's undisputed highlights. 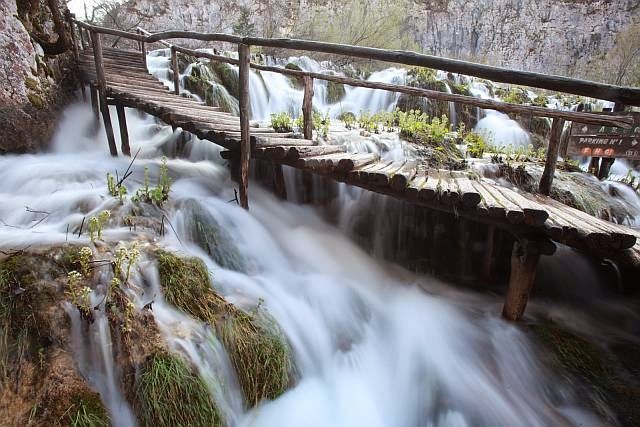 For a national park junkie though, the highlight would undoubtedly be Plitvice Lakes National Park. 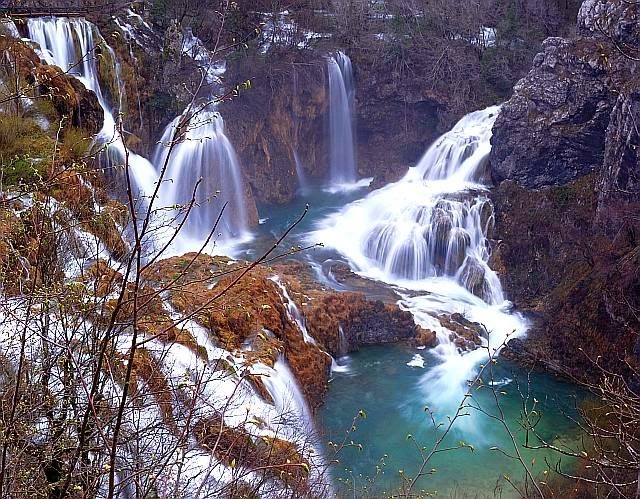 Plitvice Lakes National Park is Croatia's biggest national park, and is also recognized as a UNESCO Heritage site. The park is well organized and set up, with a range of walking trails and interesting boardwalks, all intertwined within a rich verdant stage of trees, lakes and waterfalls. In particular, the boardwalks and all built such that one would be literally immersed within the park's impressive collection of lakes and waterfalls. The walking trails are all marked, and maps placed at various points within the park. One could easily spend a whole day on the trails, which is what I did - a whole 9 hours inside the park. There is also a short ferry ride on one of its lakes, all included in your ticket to the park. 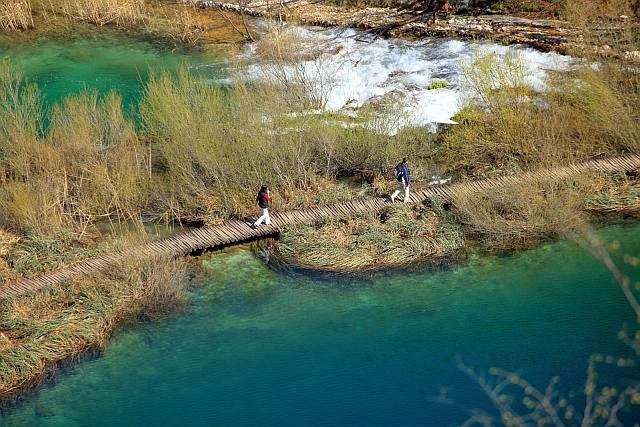 I went to Plitvice Lakes in early spring, and as such, there were less greenery from the vegetation. The colour of the lakes though, were mesmerizing turquoise green. One could imagine then, that during summer, the place would be stunning, if it is not already. I'm sure the winter and autumn sceneries are pretty impressive as well. The park has 2 entrances, and within the park itself, there are a couple of hotels, all from Entrance 2. For those who are driving, there are some villages near the park where there are plenty of homestays and guesthouses available. 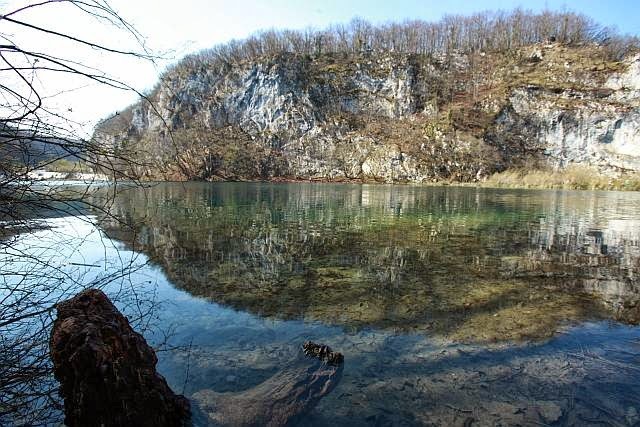 For those who are taking buses, and did not want to pay for the hotel prices, the best bet is the small village of Rastovaca, just 800m from Entrance 1. Almost every household in the village provide rooms for rent. The bus from Zagreb takes just 2.5 hours, while the bus to/from Split takes about 6 hours. 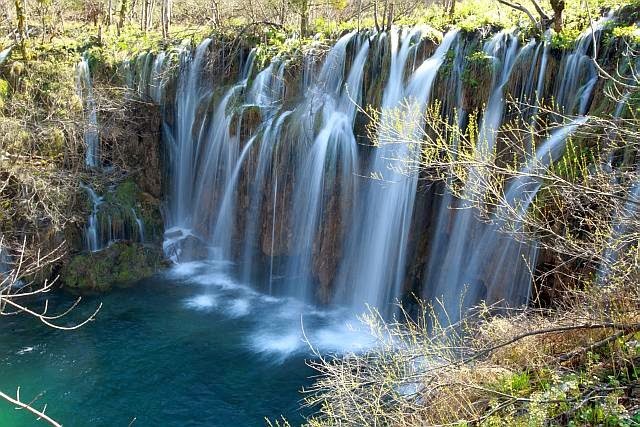 Plitvice Lakes National Park can be easily fitted into your itinerary as it's on the way from Zagreb to the Adriatic coast and vice versa. For those who love greenery, lakes, and waterfalls, the national park is a must-visit! !